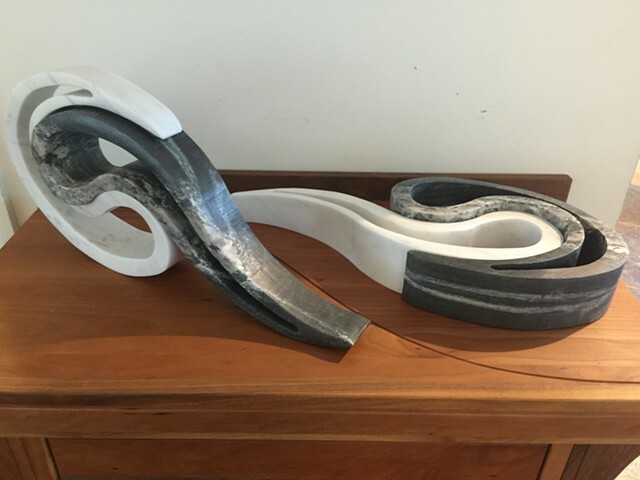 These two sculptures are the same shape cut from contrasting stones. Each is comprised of two interlocking pieces. each is about 18" x 9" x 4"